Last weekend friends came over for an impromptu dinner party with foods based on a Caribbean theme. The impetus for the party was a bottle of Jamaican jerk seasoning I found in my pantry. I had bought it a few years ago during a cruise stop over in Jamaica. The ingredients of the Walkerswood Traditional Jamaican Jerk Seasoning were enticing: scallions, scotch bonnet peppers, salt, black pepper, allspice, nutmeg, sugar and thyme (plus citric acid which was honestly at least not a turn off). The consistency was a bit liquid and it was more of a spice paste rather than a dry rub. It smelled delightful. My bottle was labeled "hot & spicy" at the bottom. I bought a family-size package of chicken breasts and another of thighs (both bone in, skin on), rubbed the chicken parts with lime juice, salt and then several tablespoons of the jerk seasoning and let that sit for a few hours. The chicken was grilled and came out succulent with a strong, herbal almost fruity note and with a pleasant hot tingle. At this point, I could have kept things easy and just whipped together a salad, a veggie and some rice and called it dinner, but nooo, I was out to travel the world through my stomach again. I made "tostones de platano," "callalo soup with foofoo," Jamaican peas and rice, homemade corn bread, a fancy salad, tropical fruit salad and mango bars, too. Oh and we served Jamaican Red Stripe Beer, fancy tropical drinks and lots of fresh fruit juices for the kids. I whipped this all together (with some help from my husband, Gary, in the fruit salad and drinks department) within maybe six hours including shopping. While everything got on the table on time, I was a bit jet-lagged and pretty much forgot to take photos. I could have wept, everything had looked so great and colorful. I'll definitely be making some of these recipes again, so I'll post the photos then. In the meantime, here's a recipe from About.com from a Jamaican cook for jerk seasoning you can make at home. (Note: For some reason the link annoyingly sometimes doesn't go directly to the recipe. If that happens to you, put the word jerk in the search box of the page that comes up, press go and a listing for the recipe will appear.) It looked pretty similar to the Walkerswood ingredients, except for the soy sauce. I would probably leave that out and replace with lime juice to recreate my experience. Unfortunately, the site for Walkerswood is under construction, but it promises recipes, too. It might be worth checking on in the future. 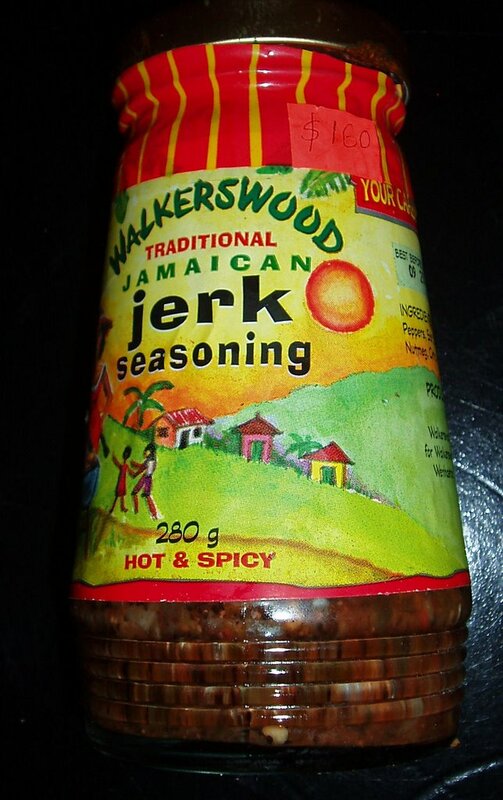 You can purchase Walkerswood seasoning at many online gourmet stores, including Amazon as well as this little corner of the Caribbean online -- the Caribbean Connoisseur. Update: I found Walkerswood's own jerk chicken recipe on Food Network. You still need your own jerk seasoning recipe. Curious? Click here. id love to have that picture. i was told it shut down ages ago. Good post. I was in Caribbean cruise before a year thorough ECT with my family. 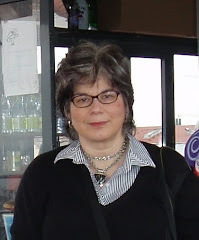 We ate in many restaurants there, most of them is fantastic gourmet food, that you cannot find nowhere.